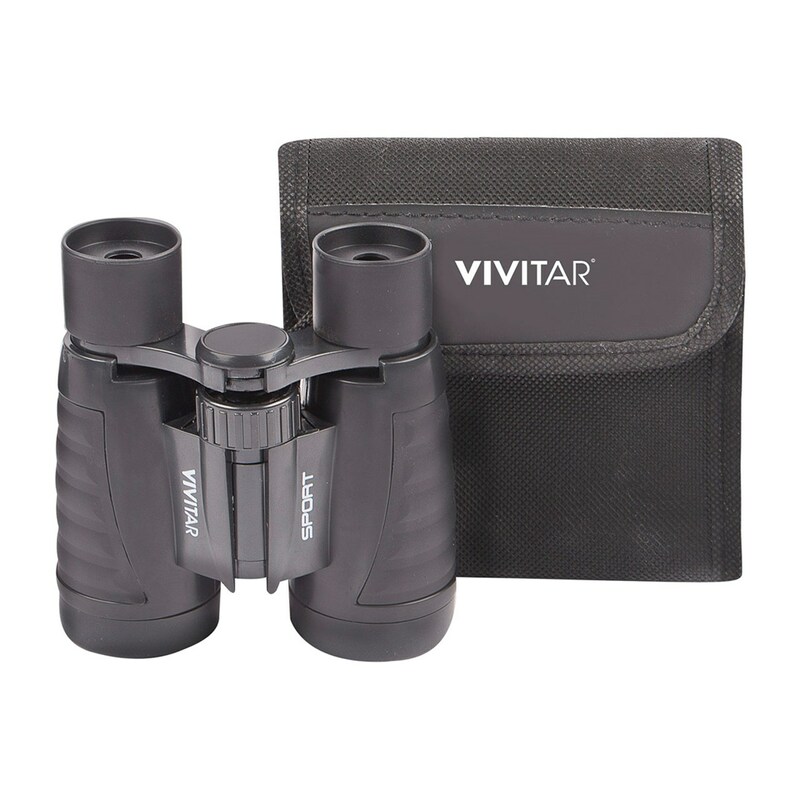 Vivitar Sports Binoculars feature crystal clear magnification, reliable center wheel focus design, diopter adjustment for precise focusing, multi-coated optics for clear, sharp views. Ideal for theater, concerts, bird watching, sporting events and more. Contents: sports binoculars, carrying case, neck strap, cleaning cloth and 1-year warranty card. Measures 4 3/8 x 4 1/4 in.